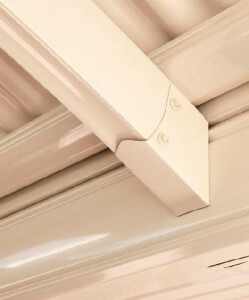 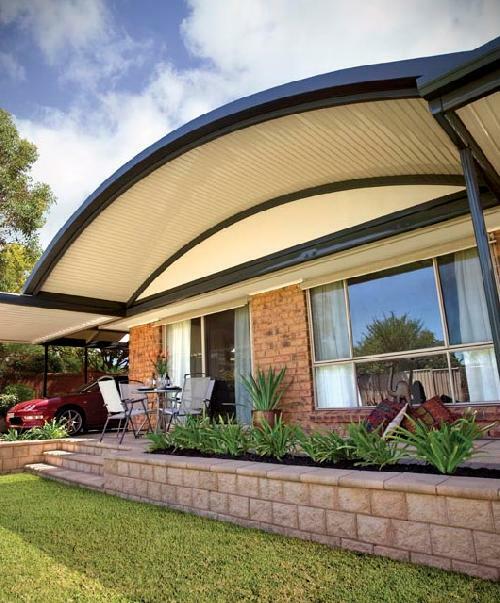 With smooth clean lines, the allure of the Outback Curved roof style verandah is appealing for both its aesthetic appeal and contemporary look. 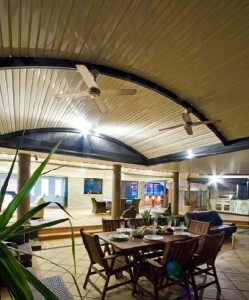 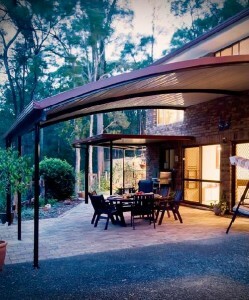 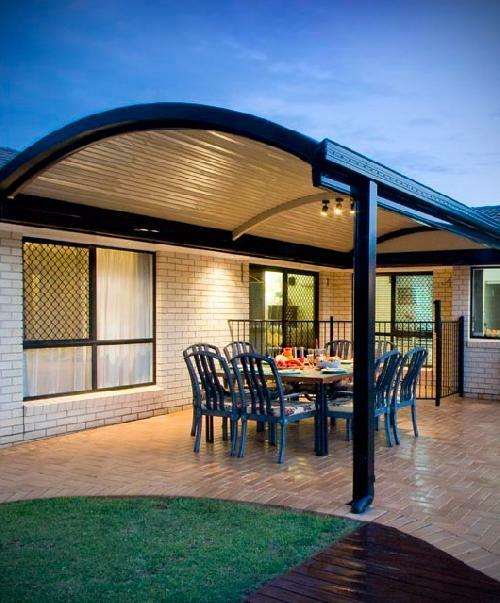 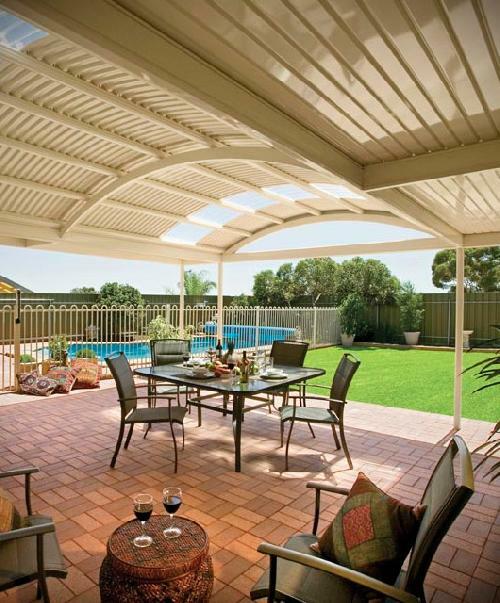 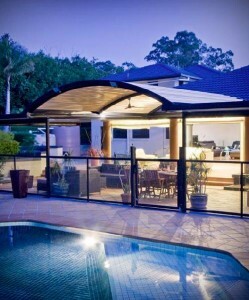 We can provide the Outback Curve Verandah structure in both multispan and clear span options. 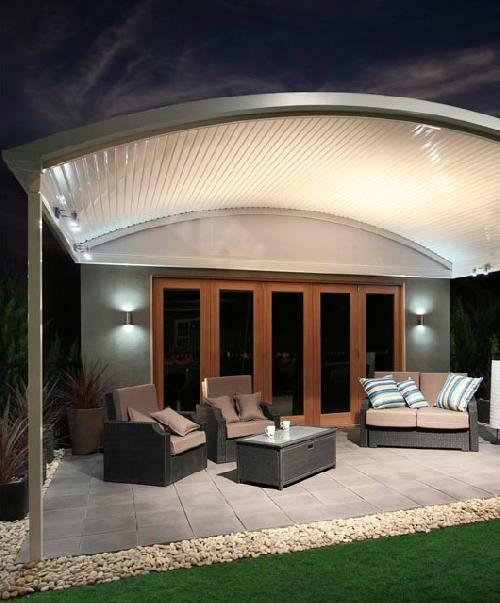 The curved protective style will add value a sense of style and sophistication to your home while the smooth clean lines of the curved roof make a graceful canopy. Ideal for outdoor entertaining, privacy in shade and shelter, this Stratco Outback design of pergola is made in Colorbond steel. 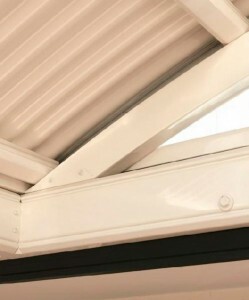 Unlike timber with its tendency to rot and need for repainting, steel is durable, attractive and low maintenance in care. 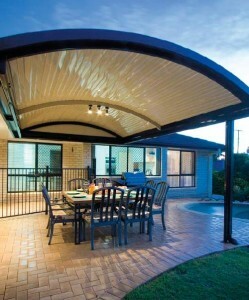 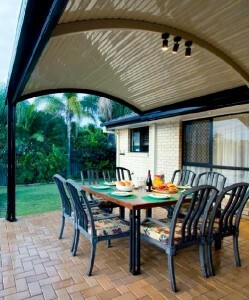 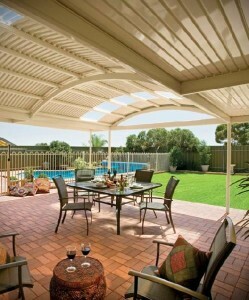 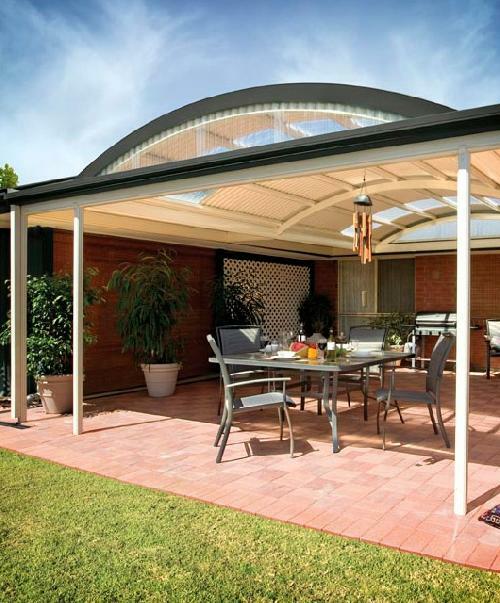 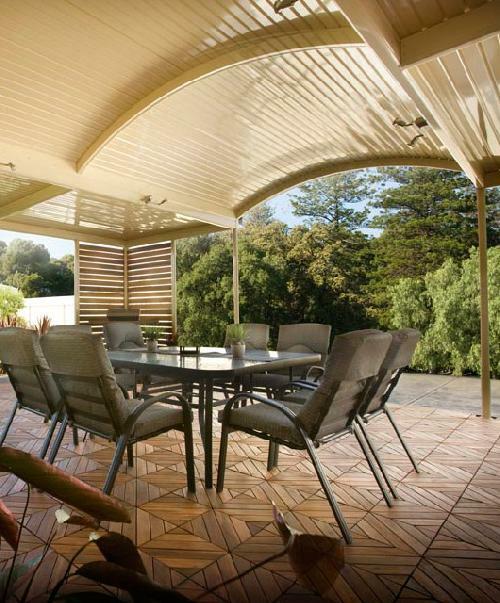 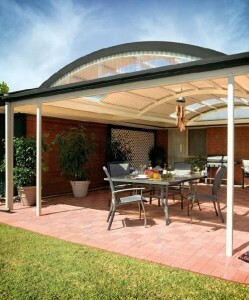 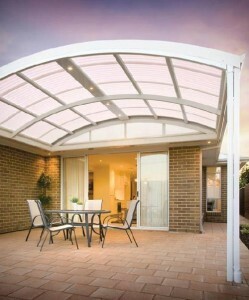 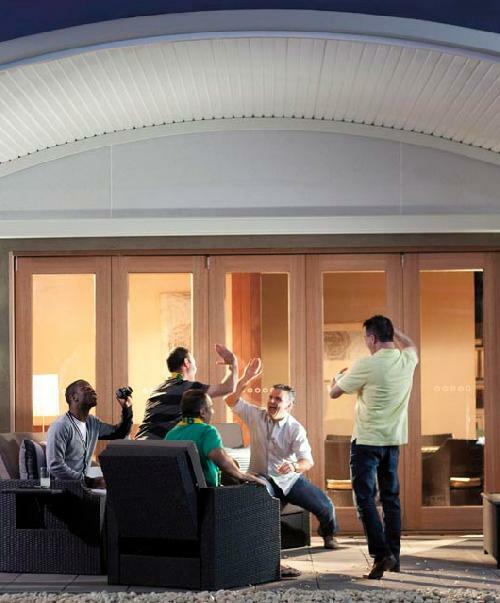 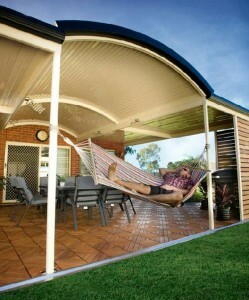 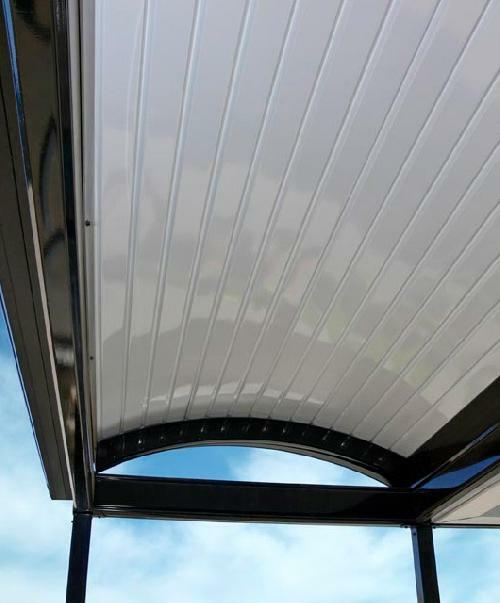 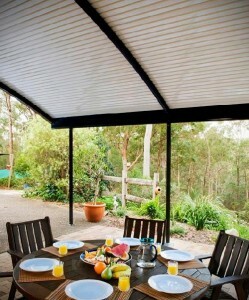 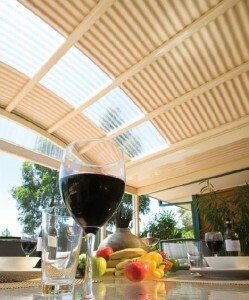 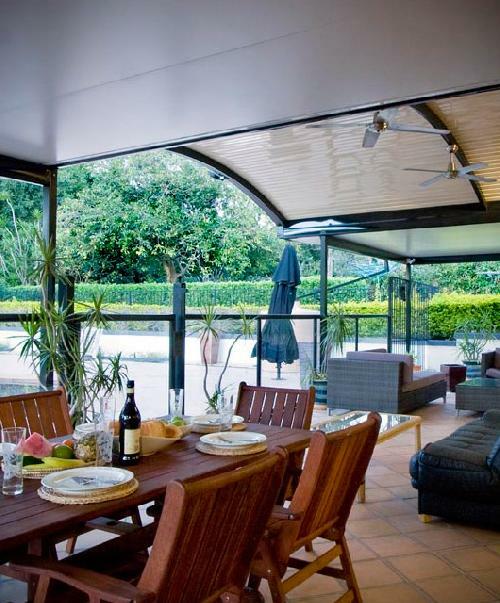 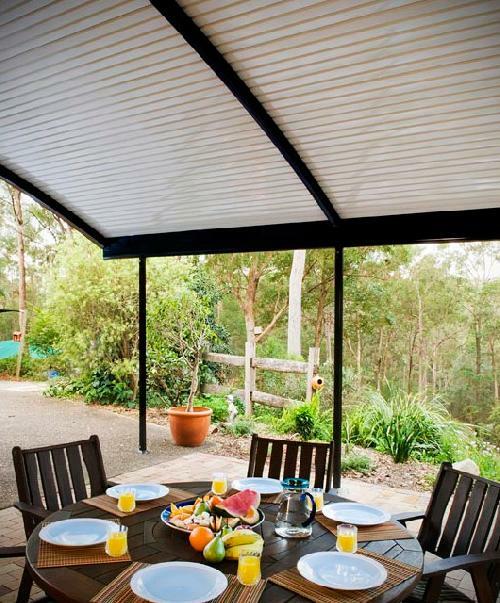 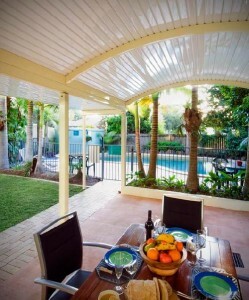 The Outback Pergola comes in a range of Colorbond high glass colours that complement any home or environment. When you purchase a genuine Outback you are protected by a 15 year structural warranty. Another great design in this range is the Outback sunroof style. We can also supply Melbourne, Werribee, Hoppers Crossing and Geelong with our great flat roof designs as well.